Q. What do you understand by freedom of speech and expression? What restrictions can be applied on it? Freedom of speech and expression is the most basic of all freedoms granted to the citizens of India. J Patanjali Shastri has said in the case of Romesh Thaper vs State of Madras AIR 1950 SC that freedom of speech and that of the press lay at the foundation of a democratic society, for without free political discussions, no public education is possible, which is so important for the proper functioning of the govt. allows an individual to attain self fulfillment. assists in the discovery of truth. it strengthens the capacity of a person to make decisions. it facilitates a balance between stability and social change. This right is not only about communicating your ideas to others but also about being able to publish and propagate other people’s views as well. Thus, freedom of speech and expression is linked to the people’s right to know. 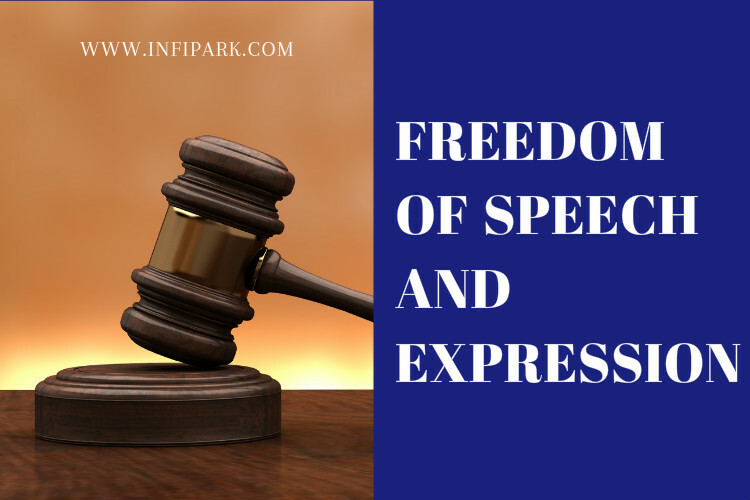 Freedom of speech and expression is a broad term and encompasses several things. The following are important cases that have determined the extent of this right from time to time. Prabhu Datt vs Union of India SC AIR 1982 : SC held that right to know news and information about the functioning of the govt. is included in the freedom of press. Union of India vs Association for Democratic Reforms SC AIR 2002 : SC held that people have right to know about the candidate before voting. Thus, the law preventing the Election Commission from asking for a candidates wealth, assets, liabilities, education and other such information, is invalid. LIC vs Manubhai D Shah SC AIR 1992 : In this case, Manubhai wrote an article in LIC’s magazie about the problems with LIC that affected policy holders. LIC published a response to that but did not give a chance to public a rejoinder. SC held that LIC being a State as per Art 12, must publish his response. It also held that it does not mean every body has a right to publish in a magazine and this right should be determined on a case by case basis. Secretary, Ministary of I & B vs Cricket Association of Bengal SC AIR 1995 : In this historic judgment, SC has held that one has the right to publicize his expression as well. A game of cricket is an expression and the organizers have a right to propagate it every where in the world. So Doordarshan must provide its uplinking facilities to CAB for transmitting the signals out of country. Art 19 (2) does not allow restrictions on 19 (1) (a) on the grounds of creating monopoly of the govt. Tata Press Ltd. vs MTNL SCC 1995 SC: In this case, SC held that commercial advertisement is protected under freedom of speech. sovereignty and integrity of the country. friendly relations with foreign states. In the original version of this article several grounds such as public order, friendly relations with foreign states, incitement of an offences were not there. After the historic judgement in the case of Romesh Thaper vs State of Madras SC AIR 1950, these grounds were added. In that case, Madras Govt. prevented the entry an circulation of the new paper ‘Cross Roads’ published by Romesh Thaper, in the state of Madras. It argued that the circulation of the paper affects public safety. However, SC held that the public safety falls outside the scope of 19 (2) and thus the govt action was invalid. This decision prompted the govt. to amend the constitution to include additional grounds as mentioned above. It is important to note that the current clause mentions the words “reasonable restrictions”. Thus, any law restricting the freedom of speech and expression must satisfy the grounds mentioned in 19(2) and must also satisfy the criteria of reasonableness. Reasonable restriction means intelligent care and discussion that the restriction is not beyond what is required for public interest. It should not be arbitrary and excessive. Further, the restriction can only be imposed by law and not by executive or departmental decision. It is the courts and not the legislature that will decide whether a law is reasonable or not. Reasonable means that the law is not arbitrary and the restriction is not beyond what is required in public interest. The time and duration of the restriction cannot be unlimited. There is no fixed standard for reasonableness. 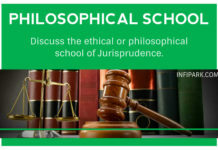 Each case must be decided on its own merits. The restriction must be reasonable from substantiative as well as procedural stand point. Restrictions imposed due to implementation of Directive Principles may deemed to be reasonable. The test of reasonability must be objective in the sense that it does not matter what a Judge or Court thinks what is reasonable but what a normal reasonable person would think. The restriction must have a relation to the object that is sought through the law and must not be excessive. It is the reasonableness of the restriction that a count has to determine and not the reasonableness of the law itself. Restriction may amount to prohibition. The following are important cases that have attenuated the scope of this right. Ranjit Udeshi vs State of Mah. AIR 1965 SC : In this case, a bookseller was prohibited from selling book containing obscene material. 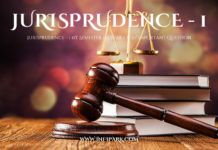 Hamdard Dawakhana vs Union of India AIR 1960 SC : In this case, SC held that obnoxious and fraudulent advertising is not protected under freedom of speech. Freedom of speech and expression is indeed the most important of all freedoms. However, today, this right is being routinely suppressed under the guise of morality and decency or public order. Even a slight criticism of a public leader or past king causes the political parties to involve in damage of public property. Any book that talks about problems in a religion is banned in the name of public order. It is extremely unfortunate that the executive, instead of the upholding peoples’ right to speech and expression by preventing unscrupulous element from hurting the author, is more interested in stifling the voice by banning their works. By doing this they are not doing their job responsibility. 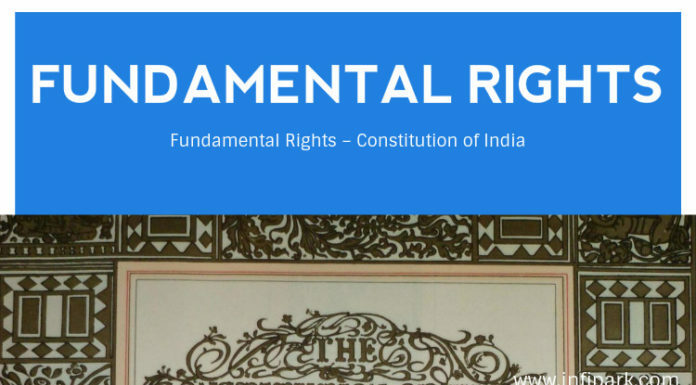 Previous articleWhat do you understand by fundamental rights? 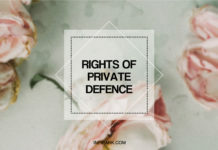 Next articleDefine the right of private defence. When does a person not have this right?